I was going to be a lawyer. I went off to Judson Baptist College and made it a semester. Came home and went to business school to become a legal secretary. Met the love of my life in 1981 and he was killed on our wedding day March 23, 1982. (6 hours before we were to be married). Married on the rebound, divorced 3 years later and was a single mom. Then eventually got married again and studied Medical Billing and Medical Transcription. Worked in the field between having babies and had to retire from it in 2004 when I became disabled with RA, Fibromyalgia and PTSD. So I have 4 children and 8 grandchildren. I presently read and review for many authors. I love to color and Bible Journaling. I moved to Medford in my start of 10th grade. I met most of the classmates in my sophmore year and continued with them through high school. I kept to a small group but happened to be a class clown in many ways. Especially when it came to Ecology class with Mr. Jensen. One day I threw a chalk eraser not expecting it to connect with anything but it connected with Mr. Fink's bald head. Thank the class that they all busted up and so did Mr. Fink. But the look on Mr. Jensen's face was not of laughter. Still a funny memory. I was not much for dating. B average student but still dated off and on. Dated Kevin Crawford and Doug Ainsworth. Prom date for Senior year was Doug Gould. I want to ride with Nascar Driver Jeff Gordon #24. I also want to attend a Celine Dion concert. Both way too expensive. But I can dream!!! A cruise to Alaska is in the making. I love to read, write and then chat with my friends on the computer. I also like to list on Marketplace to declutter and spend time with my family and church family. Presently writing my first novel and have been writing some non-fiction on all different types of abuse that plague America. I love to color and do Bible Journaling. I have a companion dog named Leia. She is Pappilon and American Eskimo. I was born in Portland and raised in Medford from 10th grade up. I lived in Idaho and the inexpensive way to live compared to other states for 16 years and have returned to Oregon. I love going to the beach. I loved attending the 30th Class Reunion and think that this site along with Facebook put more faces together for us all, which made the Reunion a success. I got my first tattoo at 50 yrs. old. I never thought I would get one but I got one in memory of a little boy that lost his battle to cancer at 9 years old. I got a monarch butterfly, which Sam loved. So in my tattoo Sam's name is in it. RIP Samuel Gordon Bish. tattoo is on my right calve of my leg. Then one is on my left calve of my leg. Not much has really changed about me since we graduated except I am not as outgoing in person as I am on the phone or on the computer. Disabled since 2004 but I keep trucking on. Isn't that what a member of the Class of 1979 from MSHS does? Glenda Smith Lucero Dixon has a birthday today. Glenda Smith Lucero Dixon updated her profile. View. Glenda Smith Lucero Dixon changed her profile picture. Glenda Smith Lucero Dixon posted a message on Stephanie Trim's Profile. Glenda Smith Lucero Dixon posted a message on Barbara Johnson's Profile. Glenda Smith Lucero Dixon added a comment on her Profile. New comment added. Glenda Smith Lucero Dixon added a comment on her Profile. Glenda Smith Lucero Dixon changed her "Now" picture. Glenda Smith Lucero Dixon added a photo to her profile gallery. Me, Shelley Tollefson, Julie Logston, Dorothy Blew-Biles and John Bauman. Class of 1979 Dinner and Dance. 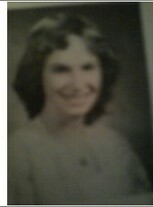 Glenda Smith Lucero Dixon changed her "Then" picture. Glenda Smith Lucero Dixon posted a message. New comment added. Happy Birthday Girl! You live in the town I wish I lived in. I am a Debbie Macomber fan and have read all her books except the newer ones. I am a Cedar Cove nut as well. Take care and I hope you had a good birthday. Happy Birthday Janice. Hope you have a great one. Hey Paula, I am not sure if you remember me from high school but plenty of pics on my profile. I also live in ID, in Caldwell. Maybe we can chat. I am a mom of 4 and grandma of 8. Love to crochet and will again when my wrist and thumb heal. Love Nascar. So let me know if you'd like to chat. Glenda Smith Lucero Dixon posted a message. Hey Charlene was wondering where you were. Msg me a total update and then I will as same. I am a freelance writer and a mom of 4, my 2 boys still at home.